This $1,000 prize is presented quarterly through the NSI Online Short Film Festival. Kayla Lorette (above left) is the latest winner of the $1,000 Brian Linehan Actors Award in the NSI Online Short Film Festival for her work in She Stoops To Conquer. Lisa Haller is the senior programming associate at the Toronto International Film Festival where she considers Canadian and international short films for TIFF and selects student short films for Canada’s Top Ten Film Festival. Jason Beaudry is the director of programming for the Atlantic Film Festival, the East Coast’s gateway to epic and unforgettable stories for the past 37 years. Kristina Mileska is a Toronto-based filmmaker and a past winner of the Corus Fearless Female Directors Award in the NSI Online Short Film Festival. 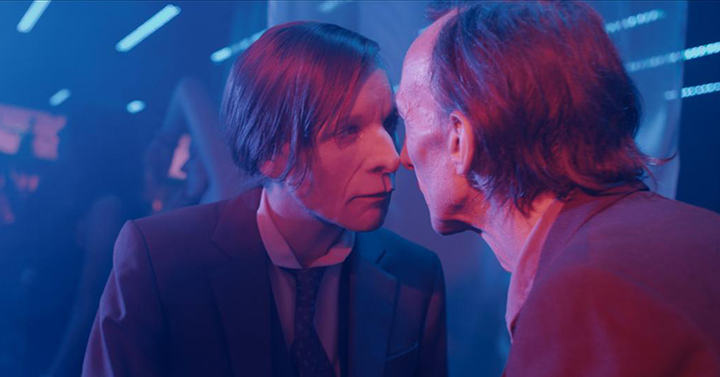 She Stoops to Conquer also won the A&E Short Filmmakers Award for best film in the NSI Online Short Film Festival.